THE CONCEPT OF social accountability is an emerging phenomenon in Asia. The concept began when most government mechanisms and market forces failed to promote the public good, especially in eliminating corruption and reducing poverty. It produced a movement toward making direct citizen involvement a prominent aspect of governance. Simply put, this approach calls for citizens to remain watchful, vigilant, and proactive in making elected leaders and bureaucrats accountable for their performance even and especially after the election period. Given this framework of social accountability, it is necessary then to explore Islam and find sufficient basis to say whether Islam supports this concept. More specifically, social accountability finds acceptance in Muslim communities only if it is contextually appropriate. I leave two things for you. You will never go astray while holding them firmly. The Book of Allah and the Sunnah of His Prophet. In other words, Muslims are mandated to follow what the Qur’an and the Sunnah say. Divinely revealed and inspired respectively, these sources produce fundamental Islamic principles; no amount of discourse is ever to change their applicability to the Muslim ummah. The Qur'an contains a number of verses giving direction and guidance to man on how to live in a society and within a state. The legal injunctions of the Qur’an or Ayat al-Ahkam form the code of conduct for every Muslim from birth to death. Among them are verses teaching man's position on earth and principles to be observed in community life, such as principles on consultation, obedience to the leader, justice, equality, and freedom of religion. On this note, we see the beginnings of a fit into the conditions which social accountability would be possible. In the framework presented, constructive engagement arises should there be mutual trust and openness. The crucial factor would be if there were trusted and credible "champions" in government who appreciate the value of citizen participation. These champions should be complemented with equally credible citizen groups that can dialogue in an organized and competent manner. A look at the study of Islam's history zeroing on the administration of state and accountability during the times of Holy Prophet (s.a.w.) and during the period of the caliphs is worth studying. It was within this period that the mechanism of decision-making related to common interests at that time, because that mechanism may indicate the extent of community members' involvement in managing state affairs and enlighten us as to who took the final decision. Said tradition may be construed as an addendum to curb abuses of power by those in power, consistent with shuratic decision-making. Indeed, the heart of governance in Islam is that consultation is part of the clear guidelines about decision-making processes in an Islamic context. Consultation is not confined to hearing out the sentiments of the members of the community. It also encompasses the consideration of these sentiments in such fora, and uses the information arising from such, to act for the benefit of the common good. As no collective matter of the Muslims should be concerned without consulting the people concerned, this rule will apply in the very first instance to the appointment of the Head of State. As such, it rules out monarchy, despotism, and dictatorship. Incidentally, it does not permit the Head of State to enjoy the power suspending the constitution at his will, for during the period of suspension he would be nothing short of an autocrat. All the people concerned should be consulted directly or through their trusted representatives. The consultation/decision-making is most applicable in the political arena, but its application is universal and appropriate for other fields as well. In fact, the idea of shura is clear cut in administrative, judicial, professional, market/business, and information fields. (See www.numl.edu.pk/gos_c_outline_MSC4.htm, Module on Social Accountability & Political Process) For example, one article describes how it is in Islamic corporate governance, under the market/business field. For Islamic corporate governance, Lewis (2006) on expounds the three dimensions of decision-making: by whom, for whom, and with what resources. He says emphatically that these three dimensions of decision-making apply irrespective of whether we are examining the governing of a nation or, as in her paper, the governance of an organization such as a business enterprise. For our discussion, we only look at look at the first two. “Consultation” is the key word of the shura, and suggests the ideal way in which a good man should conduct his affairs. Thus the basic message of shura Ash-Shura, to „live true in mutual consultation and forbearance, and rely on Allah, contains the essence of governance from an Islamic perspective. Those who wish to serve Allah must ensure that their conduct in life is open and determined by mutual consultation between those entitled to voice, for example, in state affairs as between rulers and ruled. At this point, it is evident that the administration of the State on the basis of mutual consultation goes hand on hand with citizens enjoying freedom and full democratic rights. Thus, the basis that Islam favors democracy which in turn allows for social accountability. As to For whom, “for whom” is straightforward in Islam because the starting points are from Allah. The ultimate ends of business and economics, indeed any human activity, are to Allah, and the means employed should not deviate in any way from the holy law of Islam, the shari’ah. A code of approved social behavior was developed by the Prophet Muhammad (s.a.w. ), and his companions were later appointed, when the Islamic community expanded in the early days of the Islamic state, to institutionalise, perpetuate and preserve the codes and ensure compliance with the principles of shari’ah. There is this concept of hisba that needs to be mentioned. Under the early Abbasids (750 CE onwards), the institution of hisba was established to ensure compliance with the requirements of shari’ah. An office of local administration, the office of the “inspector of the market”, continued into Islam from Byzantine times. Its holder was given the title muhtasib (and his office called hisba), and the functions were Islamicized by entrusting its holder with discharging the collective obligation in the Holy Qur’an to “encourage good and discourage evil”, making the muhtasib responsible for enforcing Islamic behavior in terms of community affairs and behavior in the market, such as accuracy and honesty in business dealings. Up to this day, the institution of hisba survives in terms of the right of every Muslim, irrespective of the presence or absence of an officially appointed muhtasib, to come forth as a “private prosecutor” or enforcer of Islamic standards of governance. Lewis says that there are then clear guidelines about decision-making processes in an Islamic context. 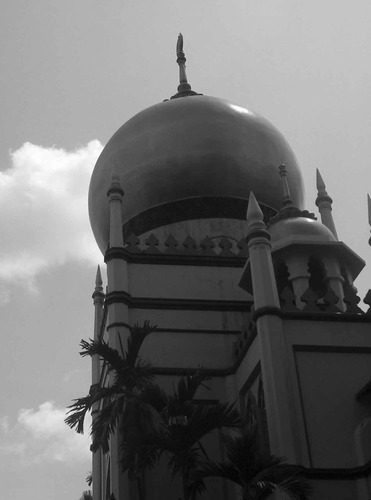 In particular, Islamic law and its distinctive Islamic institutions imply very different implications for decision-making than conventional approaches. For Muslims then, their duty of collective endeavors is aimed for the improvement of their community, even stretching it as far as achieving moral, spiritual aggrandizement as well as political and economic welfare of humanity. It is thus recognized of a Muslim that he cannot live divorced from his community. Islam forbids Muslims from keeping themselves aloof from public affairs. It urges them to think of the welfare of the Muslim people. In his book on Social Justice in Islam, Sayyid Qutb (2000) states that one of the foundations of social justice in Islam is mutual responsibility. This is the responsibility which the individual has to society and of that which society has to the individual. Why the emphasis on justice is because the highest ethical value in Islam is justice, and the primary goal of Islamic law is the fostering of freedom. This concept is different from what is practiced in most jurisdictions. This has spurned discussions of the subject of religion and progress. Because Islam covers the realm of this life and the hereafter, it is not content with mere relation between God and man only, but a way of life in all its spheres. Therefore, religion according to the Muslims has to do with society, its welfare and organization. With that said, the separation of church and state not being applicable to Islam could be viewed as a justification for Muslims to participate in activities for the betterment of the society. Here, everything personal is political and vice versa. Because Muslims must act for the common good, their involvement is enjoined in the communities where they belong to. This could come in a proactive, meaningful, and relevant participation. Muslims have every right to speak out and work with their government to ensure the attainment of public services. The Qur'an did come up with verses that showed the prohibition of corruption. Corruption is connected with good governance, as well as what social accountability seeks to eliminate. But while that may be so, corruption before was rare. Consequently, its punishment or deterrence was not the pre-occupation of the Shari’ah at the stage when Prophet Muhammad was living or even many years after his death. There is greater focus on offenses that are largely personal like theft, adultery, intoxication and slander, which was a reflection of the limited nature of public sector crimes. (Sanusi, no date). Thus, the Islamic framework that would render social accountability applicable is not as abundant. Rather, elements of what social accountability are scattered in various principles of Islam. Perhaps the most salient is the principle of consultation. For example, Sjadzali’s ultimate analysis is that Islam encourages the participants to work together freely and frankly when arriving at decisions because the Holy Qur’an clearly mandates that any decision involving more than one party requires access and consultation on the basis of principles of shura. Consultation is a must for Muslims, and one can invoke it whether he is the governor or the governed. In fact, most of the material on the topic propounds that it is not a mere statement of fact but rather an injunction and a command. Another feature that is central to social accountability is on the duty of an individual to society. What comes out of the individual is not his glory alone, but also of his people. The concept of the ummah, the collective consciousness for Muslim communities, is real. Once tapped, to say that the possibilities are endless would be an understatement. Al-Marayati, Salam. “Foster Racial Harmony and Ethical Values,” Washington Report on Middle East Affairs, August/September 1992. Al-Qasim, Asad W. The Islamic Model of Public Administration: A Systems Analysis. Unpublished Dissertation presented to the Faculty of Graduate School, University of Santo Tomas. February 1993. Ansari, Dr. Muhammad Fazl-Ur-Rahman. The Qur’anic Foundations and Structure of Muslim Society. Karachi, Pakistan: The World Federation of Islamic Missions: 1977. Bari, Abdul-Fattah Jamil. Golden Tales of the Prophet. New Delhi, India: Adam Publishers & Distributors, 1998. Buat, Mohd. Musib M. “Legal Anchors.” in Muslim and Christian Cultures: In Search of Commonalities. Florangel Rosario-Braid, ed. Manila: Asian Institute of Journalism and Communication and UNESCO National Commission of the Philippines, 2002. Doi, Abdur Rahman I. Shari’ah: The Islamic Law. London: Ta Ha Publisher, Ltd., 1984. Hershorin, Brian J. “The Separation of Church and State: Have We Gone Too Far?” in http://www.expertlaw.com/library/misc/first_amendment-2.html. 2003. Hossein, Imran N. “Muslims Must Pursue Their Goals As a Community,” Washington Report on Middle East Affairs, August/September 1992. Jamal, Amaney. “The Political Participation and Engagement of Muslim Americans: Mosque Involvement and Group Consciousness,” American Politics Research, 33, 4, (July): 2005. Lewis, Mervyn K. “Accountability and Islam”, Fourth International Conference on Accounting and Finance in Transition Adelaide, April 10-12, 2006. http://www.unisa.edu.au/commerce/docs/Accountability%20and%20Islam.pdf. Maududi, S. Abul A'la. Islamic Law and Constitution, 11th ed. Lahore, Pakistan: Rana Allah Dad Khan: October 1992. Qutb, Sayyid. Social Justice in Islam. USA: Islamic Publications International, 2000. Sanusi, Lamido S. “Islam, Probity and Accountability (A Critical Essay in History, Philosophy and Law) in http://www.nigerdeltacongress.com/iarticles/islam.htm. Sjadzali, H. Munawir. Islam and Governmental System (Teachings, History and Reflections). Jakarta: 1991. Wiechman, Denis J., Jerry D. Kendall, and Mohammad K. Azarian. “Islamic Law: Myths and Realities” in http://muslim-canada.org/Islam_myths.htm. Wray, Lyle. Round Table Conference, US Embassy, Manila, 2 March 2010. The author is a Juris Doctor from the University of the Philippines. His essay is excerpted from “Engaging with Young Filipino Muslims: Social Accountability in Muslim Philippines”, a working paper for an ANSA-EAP roundtable discussion held May 2010.